London – Dover – Calais – Brussels – Mannheim/ Frankfurt area – This morning, at the check-in point, you will meet your Tour Manager and join the coach for a leisurely drive from London to Dover port, to board the ferry for the short channel crossing to Calais. Upon arrival, we proceed through Belgium. We first visit the city of Brussels, where on our orientation tour we see the Grand Place and the Mannekin Pis statue. Continuing our drive, we reach our overnight stop and check into our hotel. (Dinner). Switzerland: Mount Titlis – Lucerne- Driving through the Swiss alpine region and the winding mountain roads to the valley of Engelberg, we start our ascent to board the world’s first revolving cable car, reaching the peak of 10,000 feet and the highest viewpoint in central Switzerland (weather permitting). Visit the Glacier Grotto or enjoy a breathtaking panorama from the sun terrace. Early afternoon, we begin our descent, passing the glaciers and thawing ice, which create majestic waterfalls. We visit the town of Lucerne, to see the Chapel Bridge and the Lion Monument. 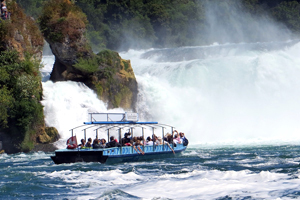 This afternoon, why not join the additional excursion – Lake Lucerne Cruise. Later, we drive to the picturesque town of Interlaken, the scene of many “Bollywood” films, where you have some time to browse through the shops. (Breakfast, Lunch, Dinner). Switzerland – Paris- Early morning we leave the Swiss Alps behind us. Once into France, we join the super fast highways, driving past vineyards and mustard fields. Continue onto Paris, one of the most exciting and popular cities of Europe, renowned for its fashion, perfumes, and of course the most talked about French champagne and wines. On arrival in Paris, we visit the third floor of the Eiffel Tower to witness a spectacular panoramic view of the city. Later we check into our hotel for a two nights stay. 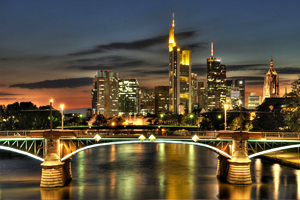 After dinner we proceed for our Paris by Night Tour with River Seine Cruise (*). On our tour we will see the main sights illuminated, and enjoy an amazing cruise on the River Seine – admire the spectacular facades from your covered boat. (Breakfast, Lunch, Dinner). 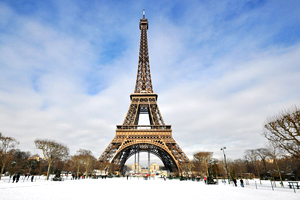 Paris- Today you have the choice of two exciting day tours. This morning, on our orientation tour of Paris, we will be introduced to the main sights of this beautiful city: Hotel des Invalides, Arc de Triomphe, Champs Elysees, Place de la Concorde, and the Opera. Later, you have some time to browse through the shops, or join the additional excursion – Visit to Louvre Museum, where you can see the famous Mona Lisa painting by Leonardo Da Vinci. Finally join us for an exciting optional Lido Paris Cabaret show. (Breakfast, Lunch, Dinner). 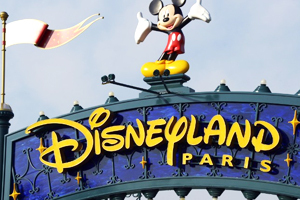 A short drive to the famous Disneyland Paris Theme Park where a day of excitement for the entire family awaits you. Meet all your favourite Disney characters, see the amazing show “Honey, I shrunk the audience”, ride the hair-raising “Space Mountain” roller coaster. Finally join us for an exciting optional Lido Paris Cabaret show. (Breakfast, Dinner). 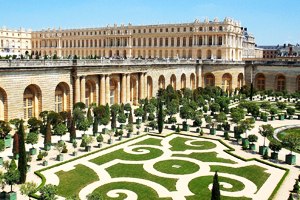 Paris – Calais – Ferry – Dover – London- This morning we proceed to Versailles, to visit the magnificent Gardens at the Palace of Versailles, the former residence of the famous “Sun King”. Next we visit a French perfumery for some last minute shopping. Early afternoon we depart and journey north for Calais to board the ferry for the return channel crossing. On arrival at Dover port, we proceed to London, where the tour ends, and its time to say farewell to all the friends you have made on tour. (Breakfast, Lunch). Note (*): Please note that the Paris by Night Tour with the River Seine Cruise may be operated on either Day 4 or Day 5 as per convenience. SWITZERLAND: Rhine Falls, Cable car ride to Mount Titlis and, visit to Lucerne and Interlaken. PARIS: Paris City Tour: Orientation Tour of Paris, third floor of the Eiffel Tower, Paris by Night Tour with the River Seine Cruise, visit to the Gardens at the Palace of Versailles, French Perfumery. 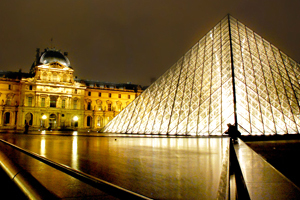 Special Offer: Paris by Night Tour and River Seine Cruise worth £15.00 included. Book 8 weeks in advance and get £50.00 off the tour price or 1 night pre-tour and 1 night post-tour in London per adult or child. Book 6 weeks in advance and get £25.00 off the tour price or 1 night pre-tour in London per adult or child.